Sweet potatoes are such a great root vegetable, they have a wonderful bright orange color, they taste great as fries, roasted and pureed and they provide many nutrients. And while the word “sweet” leads us to associate them mostly with a sweet casserole like those served for Thanksgiving with marshmallows, maple syrup and pecans, they also pair well with a good salty cheese such as feta. 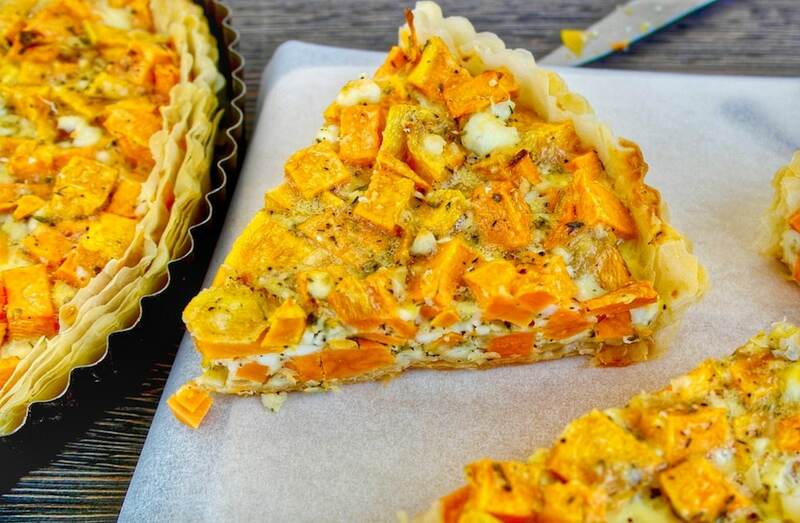 For this sweet potato tart I went full Greek: plenty of sweet potato chunks roasted with feta and herbs in a phyllo crust. The result was amazing! 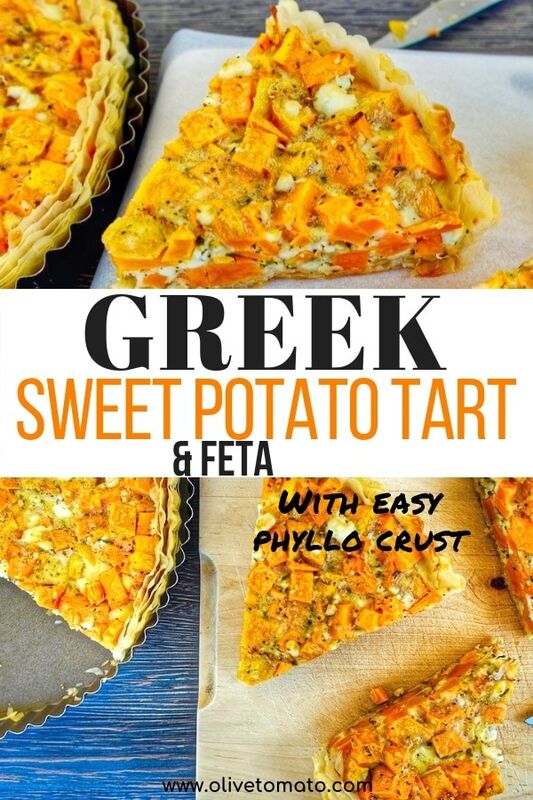 The rich savory filling of sweet potatoes along with crumbled feta was full of flavor and texture and perfect with the crunchy phyllo/crust. And it was so easy to put together. I used a basic Greek pita technique: choose your veggie, add feta, eggs, herbs and a touch of olive oil and your filling is ready. For the crust you can use phyllo bought at the store which usually contains only flour and starch or you can make your own (try my easy olive oil phyllo). For this recipe, I did stray a bit from a typical Greek pita by not using a top layer. Typically, Greek pies have a top and bottom layer, but I wanted the bright orange color to show, so I chose not to cover it and call it a tart. I also did use the thin phyllo here which results in a lighter tart/pie without all the saturated fat. Sweet potatoes are a good source of fiber and particularly high in vitamin A (in the form of beta-carotene) and vitamin C. Beta-carotene belongs to a group of substances called carotenoids which are pigments that we find in plants and are responsible for their bright colors like the orange in the sweet potato. Beta-carotene keeps our eyes healthy and is good for our skin, it is also associated with protection from several chronic diseases. Once we consume beta-carotene, it is converted into vitamin A. 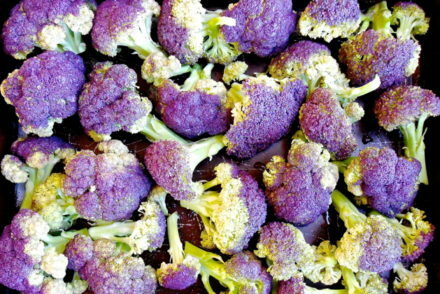 Beta carotene also has antioxidant activity and fights free radicals that play a role in aging. Beta-carotene is better absorbed when consumed with fat. This tart is ideal for lunch or a snack, or you can accompany it with a salad for a larger meal. 1 tablespoon herbs de Provence (a mixture of marjoram, rosemary, thyme, and oregano) or just 1 1/2 teaspoon rosemary if you prefer its aroma. Chop the sweet potatoes in small cubes about ½ inch cubes. 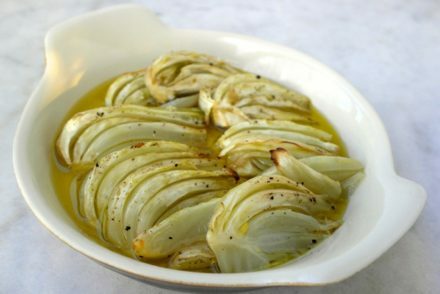 Place in bowl and drizzle 1 ½ tablespoon olive oil, mix until all pieces are coated with the oil. Spread in a pan and roast for 20-25 minutes. Remove and set aside, lower oven temperature to 350 F (180 C). In the meantime sauté the onion in 2 teaspoons of olive oil until translucent. 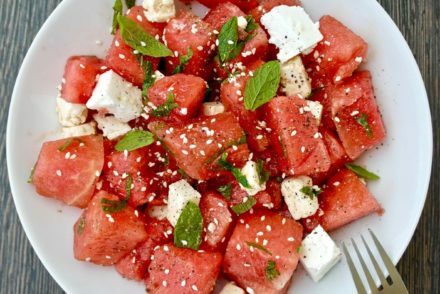 In a large bowl mix the crumbled feta, eggs, milk, 1 tablespoon herbs de provence , 1 teaspoon salt, freshly ground pepper, 1 ½ tablespoon olive oil. Add the onion (let it cool a few minutes before adding) and the sweet potato cubes. Mix gently and set aside. Brush a 10 inch tart pan with olive oil. Place 6 sheets of phyllo in the pan, brushing each layer with olive oil. Cut off the leftover pieces hanging over the sides of the pan. * If you are using homemade phyllo see notes. Empty the sweet potato mixture in the pan, spreading it evenly with a spatula. Sprinkle with parmesan. Cover the tart loosely with aluminum foil and bake for about 20 minutes. Remove aluminum foil and bake for another 20-25 minutes. If you are using homemade phyllo, you only place one layer of dough on the bottom and brush with olive oil. You will need to bake 10-15 minutes extra. Love Greek food, been lucky to travel to Greece twice. What would be a good accompaniment for this dinner? Pork? Big, luscious Greek salad, too, of course. Needs a sauce somewhere, doesn’t it? Yes! I think pork roasted Greek style with lemon, would be ideal if you want some meat with it. Maybe with a honey-mustard dressing. This tart sounds great Elena. I will be definitely making this. 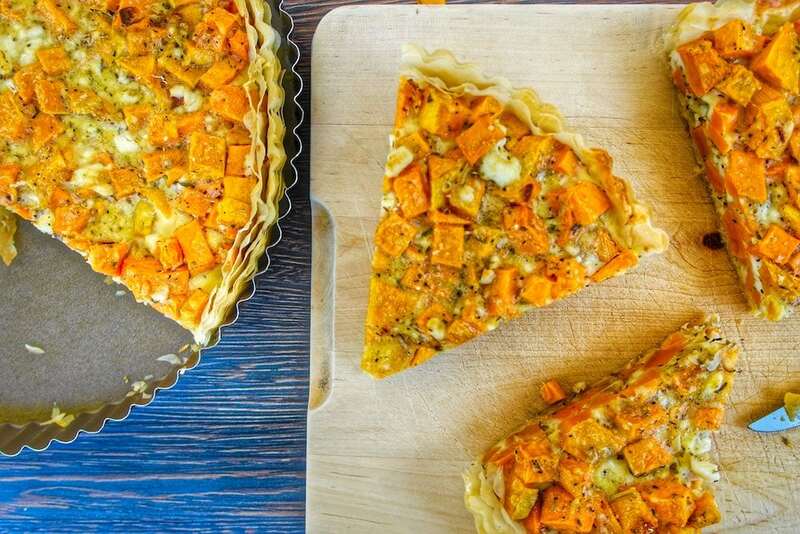 This tart has been inspired by traditional Greek ingredients and looks delicious! Sweet potatoes and feta cheese also complement each other well. This is a great recipe, I’ve made it a couple times. It was very easy and the savory flavor with the sweet potato was very good. I serve it with a salad for dinner.